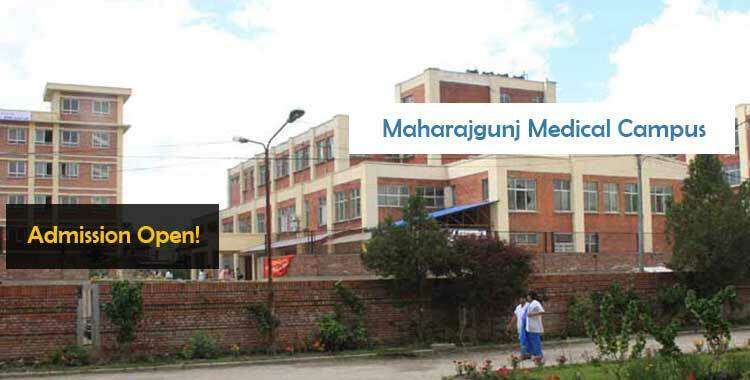 Maharajgunj Medical Campus is a medical school located in , Maharajgunj, Kathmandu, Nepal.Maharajgunj Medical Campus, Nepal stands by its earnest commitment to produce skillful medical graduates, who can address the complex nature of health problems. Maharajgunj Medical Campus aims at holistic development of the student by incorporating innovative and modern teaching techniques, activities, practical exposure, and opportunities to participate in national/international scientific forums. The Maharajgunj Medical Campus, Nepal Fees structure is affordable and students from all strata can conveniently seek admission here. Maharajgunj Medical Campusoffers the both undergraduate and postgraduate courses for Medical students. This fully college MBBS, MS, MD, MSc, MPH,MPHN, BDS, B.Pharm, BSc MLT, BAS SLP. program is accredited by Tribhuvan University and recognised by Nepal Medical Council. Maharajgunj Medical Campus has the undertaking to produce competent individuals with technological know how to provide healthcare facilities to the people of the country and society. They are made morally strong and confident to handle all the situations in their medical career. The fee structure has been so devised as to not fall heavy on the pockets of those seeking admission to the medical college. A very comprehensive Maharajgunj Medical Campus, Nepal fees structure 2019 has been laid out on the website of the college. Noting the fact that the fees for pursuing medical education is not a cakewalk for many, the Maharajgunj Medical Campus , Nepal fees structure for self finance helps those students who cannot afford to pay the entire fees together.